We all love to celebrate milestones in our lives like graduation. Our babies and children will achieve milestones as well. We need to remember that these are to be celebrated – not to stress over. We can study the average times for our child to take their 1st step, to hold a toy and to say their first words. The time in life these are achieved do not show more intelligence, strength or ability in adulthood. They are just a milestone on the journey they are taking in their life. We wish our children to love their journey and to go toward the destination that they desire. If we forget that each celebration is a joy, whenever it comes, then we can lose our joy as parents and our children can feel inadequate as people. We live in a world of competition; try to leave competition behind as you watch your children grow. We want them to be healthy and to achieve full potential as the adults they want to become. Therefore, as we delve into the milestones we watch for and dream about, remember, this is about being healthy and having joy in the journey. Concerns can be brought to us and to your pediatric providers but if they are in the range of healthy, let go and enjoy. They will grow too fast. As I have been known to say, “Don’t Blink”. 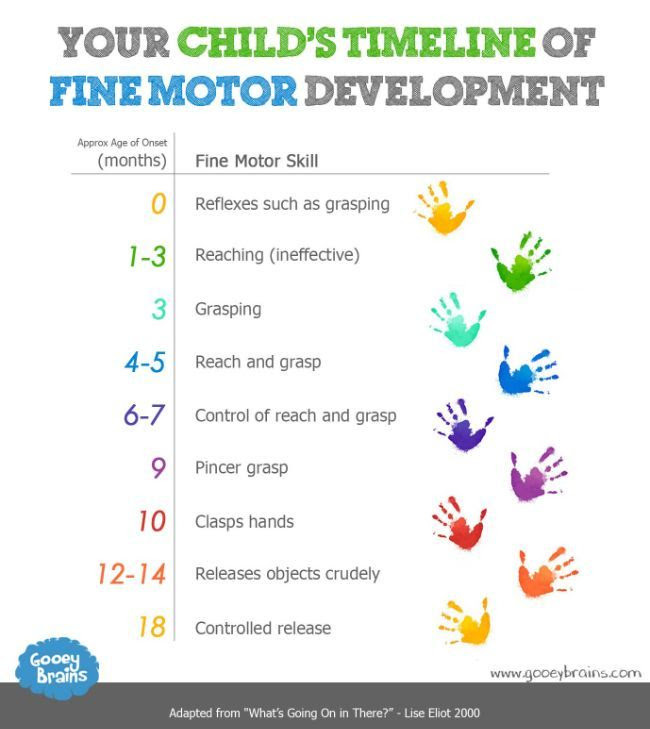 Developmental milestones are all an integral part of our baby's growth, especially during the first few years. Here are some fun charts, apps & graphics to help you see your little ones' progress. Always feel free to call us with any questions or concerns that you might have about your baby's development. We are always here for you. Our Becky smiling at the gorgeous orchid a client dropped off for her as a thank you! Just a couple of days later another mama came with more beautiful arrangements for Eve, Becky & Eva. How lucky we are to know you all! She opened the doors on January 6, 1907, calling the center the Casa dei Bambini—Italian for “Children’s House.” Dr. Montessori was determined to make the Casa a quality educational environment for these youngsters, whom many had thought were unable to learn—and she did. While the children were unruly at first, they soon showed great interest in working with puzzles, learning to prepare meals and clean their environment, and engaging in hands-on learning experiences. Dr. Montessori observed that before long, the children exhibited calm, peaceful behavior, periods of deep concentration, and a sense of order in caring for their environment. She saw that the children absorbed knowledge from their surroundings, essentially teaching themselves. News of the school’s success soon spread through Italy. On April 7, 1907, Dr. Montessori opened a second Casa dei Bambini, also in San Lorenzo. And on October 18, 1907, in Milan, she opened a third Casa." 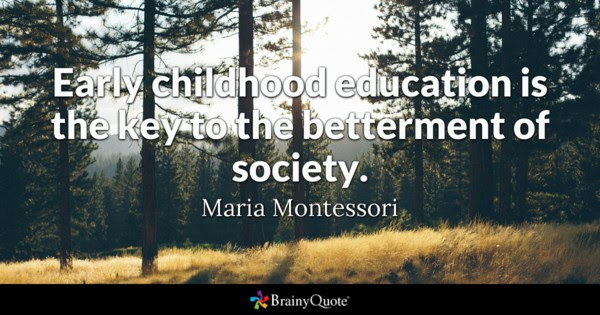 Learn more about the Montessori approach here. Some new fun pics with our wonderful families! 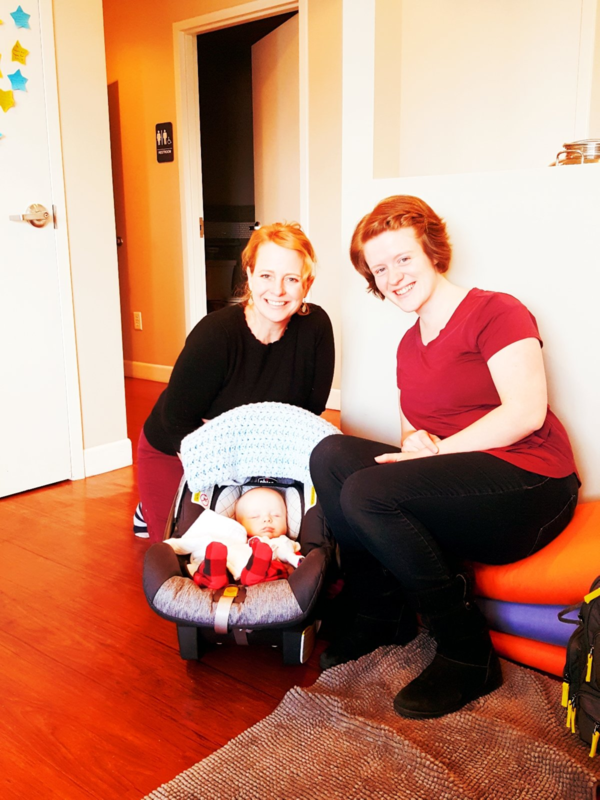 Whether at a reunion, group class or just stopping by to say hello & find your little one's feet on one of our awesome quilts, we are always thrilled to see you & catch up. Stop by to say hello & we would love to feature you & your family in this newsletter! of Milk & Honey Wellness with a recipe for bone broth & explanation of its many healing benefits. Finish out the last of the cold winter months with this simple & delicious broth to help restore your gut just in time for spring & summer!